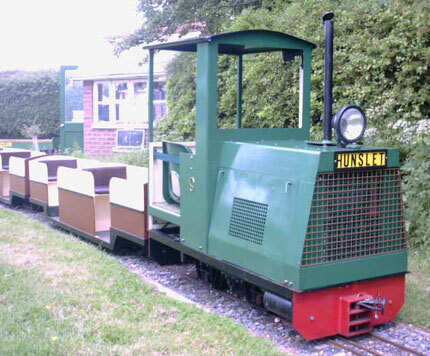 This loco was nicknamed 'Crunchie' due to it's noisy Robin Reliant gearbox on it's first visit to the railway in 2000, but has since reappeared with a quieter version. 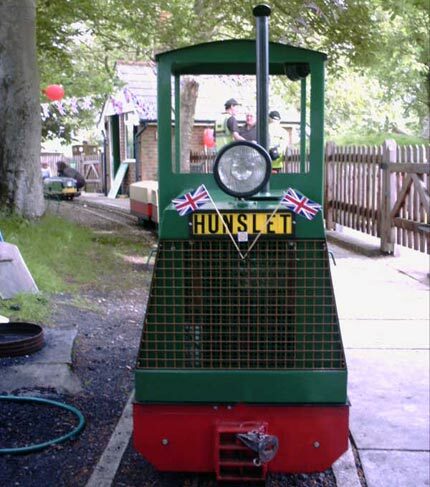 However the name has stuck!Crunchie was used mainly as a standby engine, or as heavy haulage power for freight workings except on busy events days when it was occasionally rostered for passenger service. 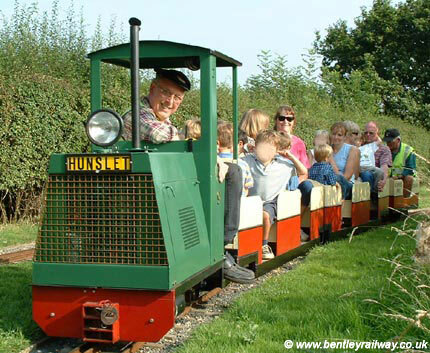 The loco returned to limited service during 2011 hauling heavy trains laden with equipment or materials for the extension construction works but was quickly withdrawn due to problems with the petrol engine. Subsequently it is undergoing a major re-fit at its home "workshop" with its final power source and transmission still a closley guarded secret (the owners havent decided yet!) Hopefully it will see a return to operation in 2018 after its carer has finished the S&T works on site.